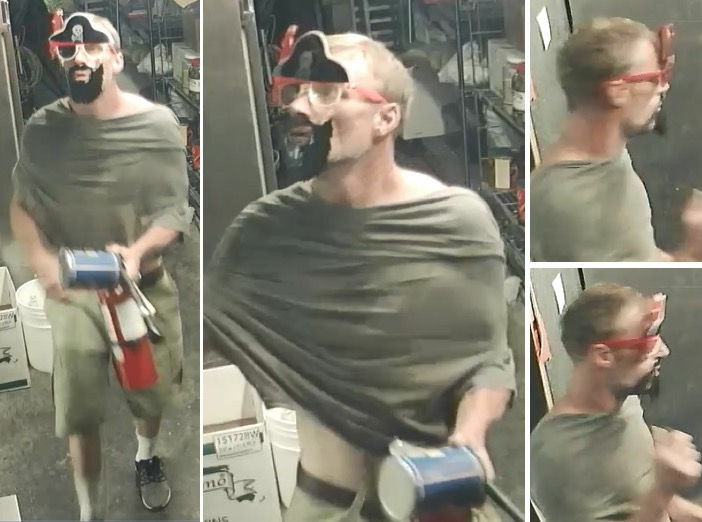 Police in Cornelius, Oregon, arrrrgh on the lookout for a landlubber who got away with a decent booty after breaking into a pub in Washington County wearing a pirate mask complete with a fake eye patch, a parrot, and a beard. According to The Oregonian, the scallywag broke into the Last Lap Pub on the starboard side after business hours and stole a safe containing upwards of $4,000. Though he disabled the security camera before leaving, police believe he removed the safe with a hand truck and drove away in a stolen white pickup truck, which was later found abandoned and stripped of its plates. Now, the police need all hands on deck to catch this freebooter and make him walk the plank.